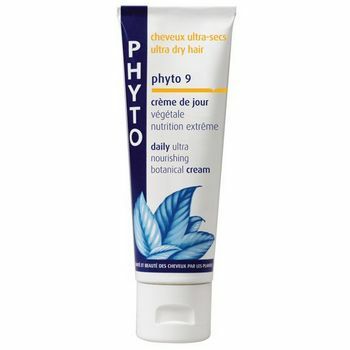 Phyto 9 is a rich botanical hydrating cream for very dry, porous hair. 9 special plant ingredients soften, hydrate and strengthen hair when used daily. 1.7 oz.